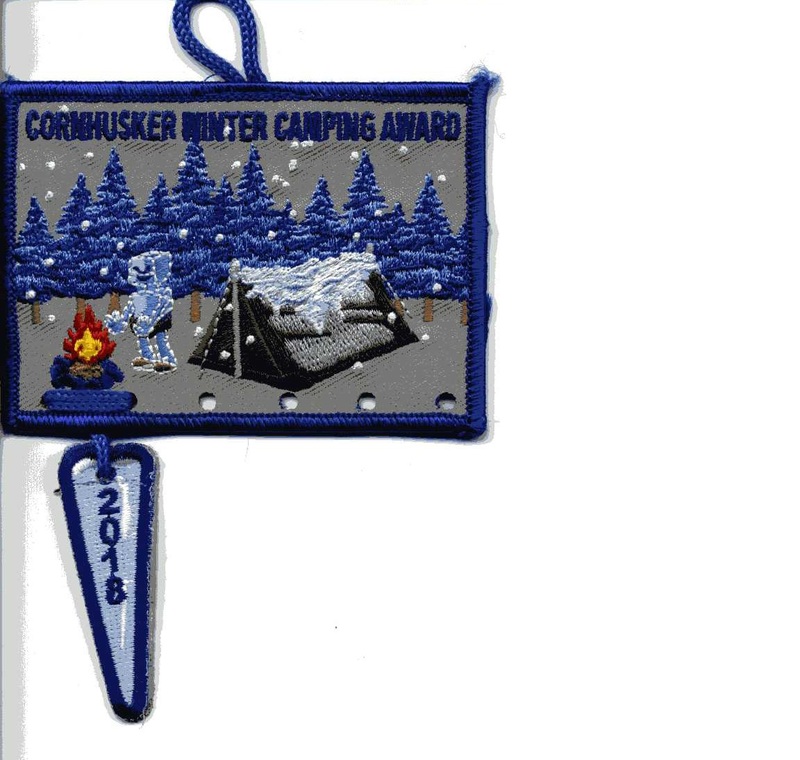 The Cornhusker Council Winter Camping Award is an incentive to promote winter camping. Winter camping should be an integral part of all Scouting programs to ensure a variety of activities and also give scouts the opportunity to see if they are prepared for cold weather events. Time frame October 1st through March 31st (6 months). The Criteria will very each year as selected by the camping committee. The award consists of two parts, the base patch and the a year dongle that reflects the year the award was earned. The award can be earned each year the Scout or Scouter meets the criteria. The Award can be purchased from the Cornhusker Council Scout Shop. Each award requires a completed application. The Cornhusker Council Winter Camping Award is an incentive to promote winter camping. and also give scouts the opportunity to see if they are prepared for cold weather events. 2019 Cornhusker Council Winter Camping AwardThe Cornhusker Council Winter Camping Award is an incentive to promote winter camping.